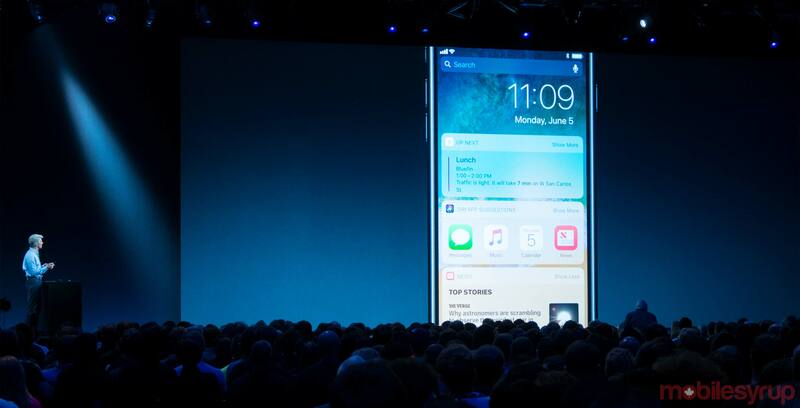 Apple officially announced iOS 11 at its Worldwide Developers Conference on Monday, revealing a focus on artificial intelligence, augmented reality and person-to-person payments. However, it has now been revealed that some Apple product users won’t be able to take advantage of the new OS when it launches in the fall. iOS 11 will only be available 64-bit devices, meaning that the iPhone 5, 5C and fourth-generation iPad, which have only 32-bit processors, will not be supported. As a result, these devices will be stuck running iOS 10 and not be able to receive important security patches and stability improvements. Apps and games running in 32-bit mode will also no longer be supported, even if they’re running on a 64-bit device. iOS 11 was one of many announcements that Apple made at its annual developers conference. A full rundown on what was shown off at the WWDC keynote can be found here, while major takeaways from the event are available here.